Continuing my trek to find out what brought Guy Fieri to Bakersfield with his crew from Diners, Drive-Ins and Dives, I grabbed a Salty's Special sandwich. 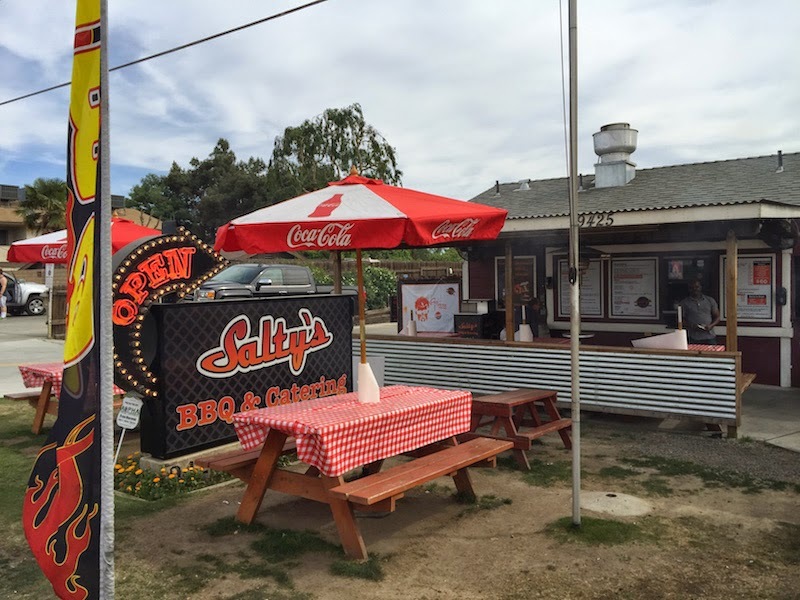 Read my full review of Salty's BBQ & Catering as seen on Food Network's Diner's, Drive-Ins and Dives after the break. As reported a few months ago, Food Network's Diners, Drive-Ins and Dives has been visiting places in Bakersfield to be seen on the new season of shows. Salty's BBQ & Catering was one of them. 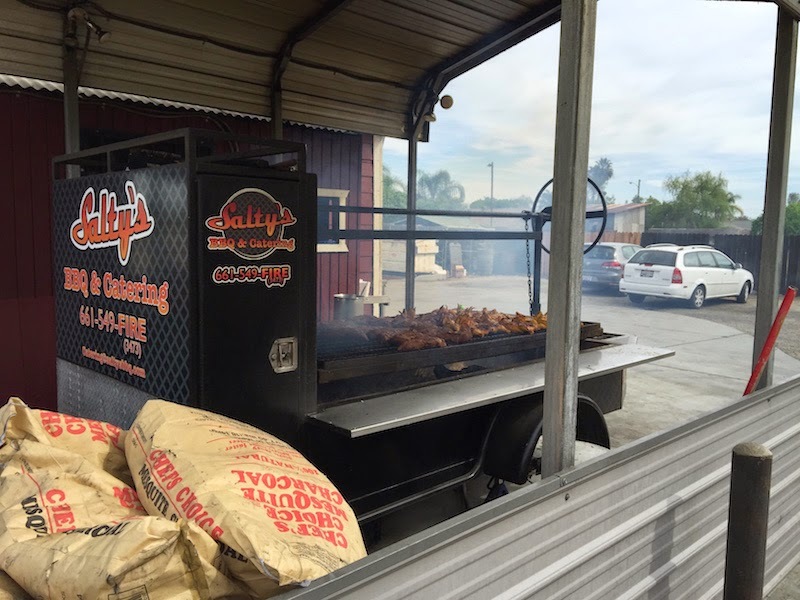 Salty's uses red oak in their huge outdoor barbeque. 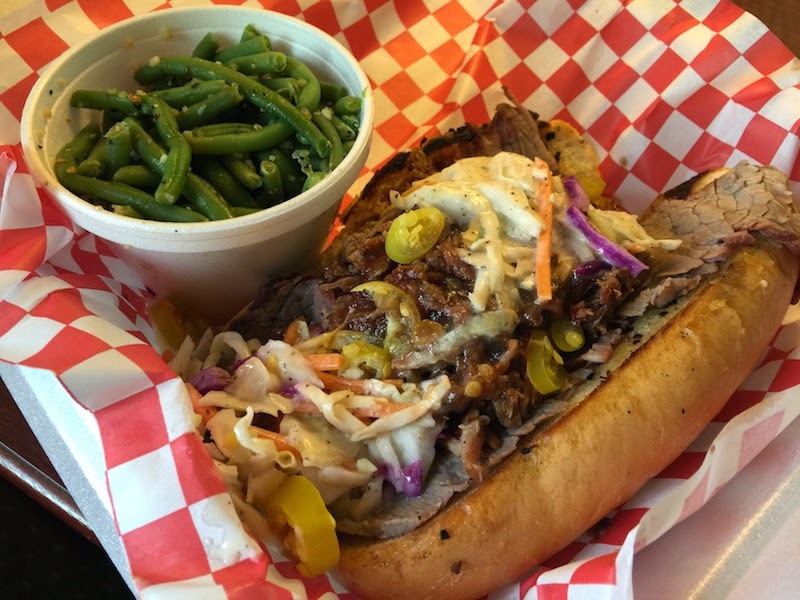 I had to try the Salty's Special which is tri-tip cooked over a red oak fire, pulled pork, barbecue sauce, yellow peppers, and coleslaw. It's not cut in half -- it's messy enough already. And it's good. I mean, it's really good. 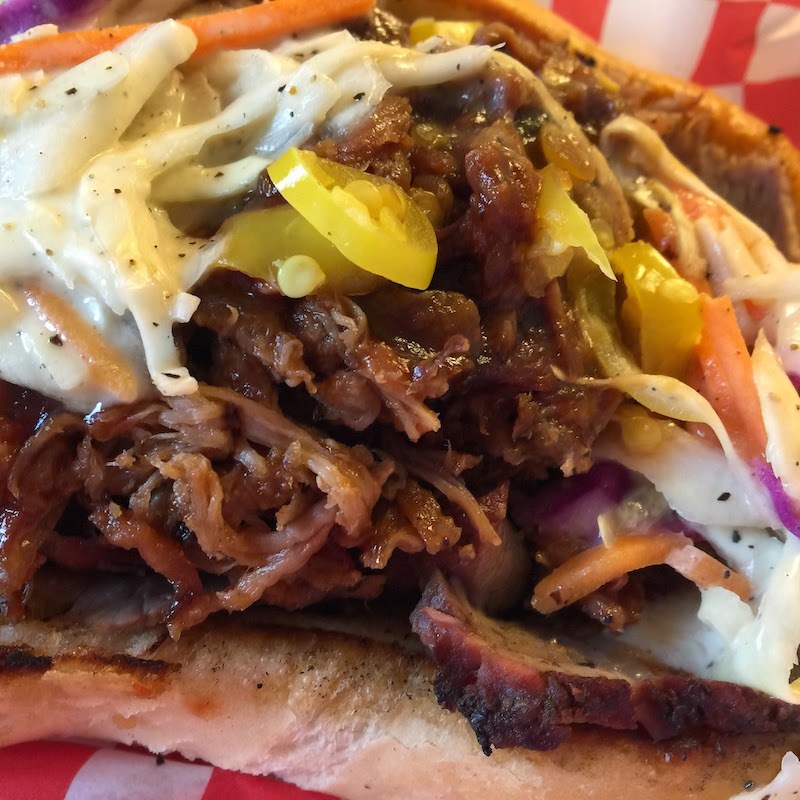 The meat is smoked perfectly and is still juicy, while the peppers and coleslaw balance each other out while adding extra zing to the sandwich. You get a choice of a side with your sandwich. 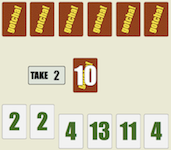 I picked the green beans. Delicious and not over-cooked.